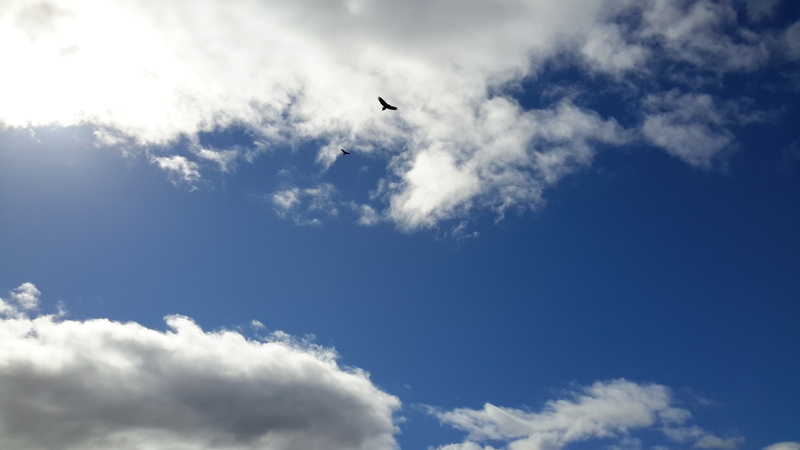 I was privileged to watch not one but three endangered Tasmanian Wedge Tailed Eagles during one walk along the Derwent River. The third eagle was being chased by a black Crow and I was fortunate to be able to photograph it. A Crow is not a small bird but, in comparison to the expansive eagle, it appears tiny. Tasmania’s Parks and Wildlife Service provides more information about this majestic eagle here. “Ever since Europeans settled in Australia, wedge-tailed eagles have been accused of attacking and killing almost anything from horses to honey-eaters. In some States bounties were paid for their destruction and a total of about 20 000 were slaughtered per year in the mid 1960’s. Today, despite legal protection and changing attitudes, the wedge-tailed eagle remains vulnerable to extinction. Some landowners believe that wedge-tailed eagles pose a threat to lambs and kids. However, studies have shown these fears to be unwarranted. In 1970, for example, the CSIRO published an analysis of the cause of death of over 12 000 lambs in several States. Although up to 34% of dead lambs had been at least partly eaten, only 2% of lambs born had been actually killed by predators such as eagles. More importantly, only 2.7% of dead lambs would have survived if a predator had not attacked. Exposure to bad weather and miss-mothering were the most important causes of death. It is rare to see these eagles. 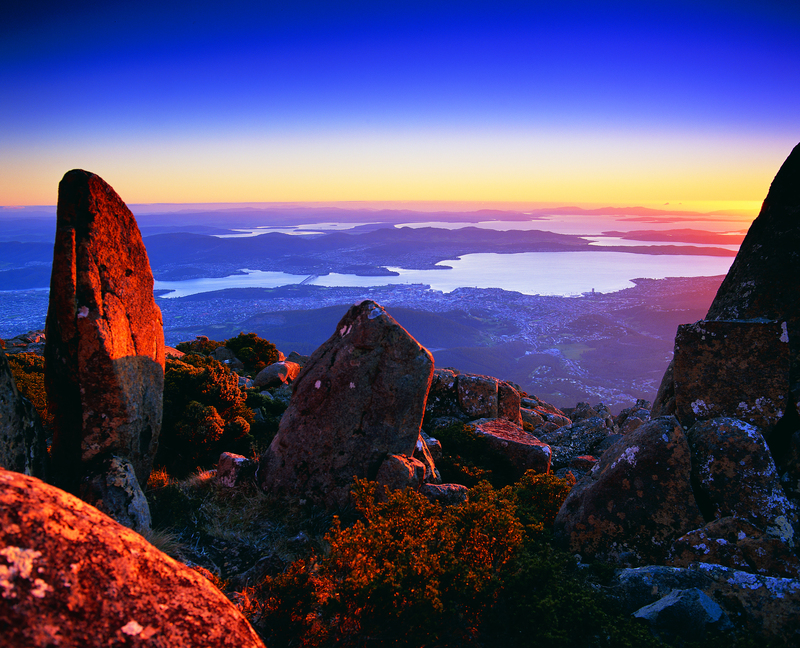 The last time I saw one was years ago when I had walked to the bottom of the ‘organ pipes’ on Mount Wellington and sat in the sun on a smooth rock looking down on the city of Hobart with the ribbon of the Derwent River splitting it apart. My peripheral vision recognised movement. 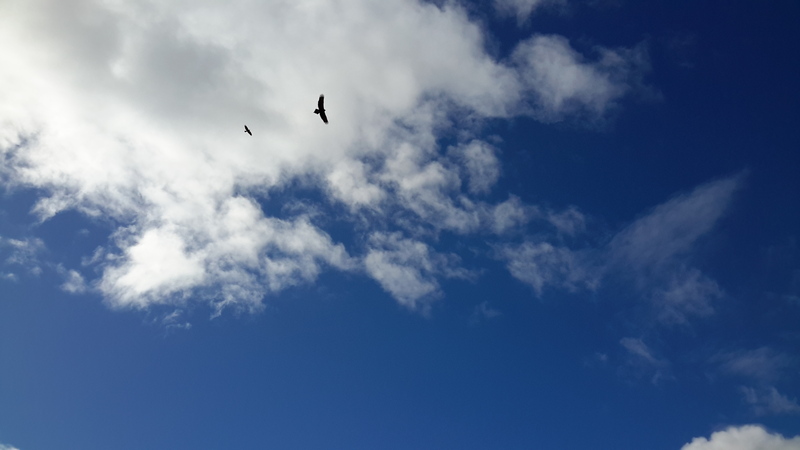 Just then, an eagle used an updraft and soared in front of me, then over the edge of the mountain out of sight. Another never to be forgotten experience. 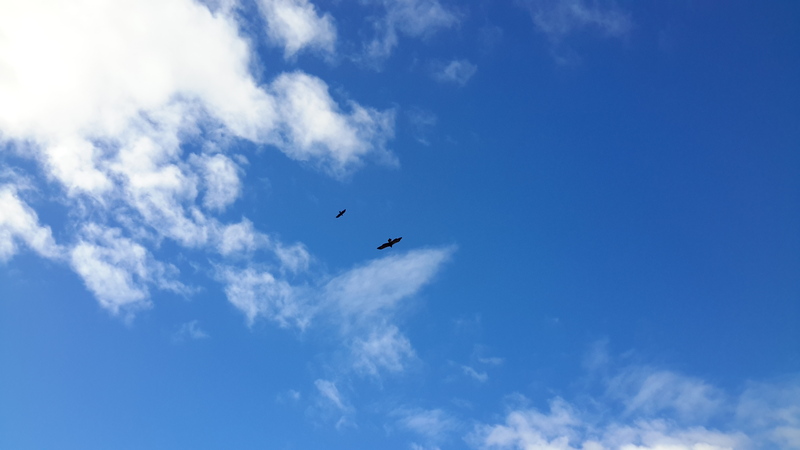 This entry was posted in Derwent River, Tasmania, Walking and tagged Crow, Derwent Rive, eagle, Mount Wellington, Tasmania's Parks and Wildlife Service, Tasmanian Wedge Tailed Eagle, Wedge Tail, wedge-tailed eagles on January 27, 2017 by Tasmanian traveller.